Only one Readiband can be paired to a user at a time. 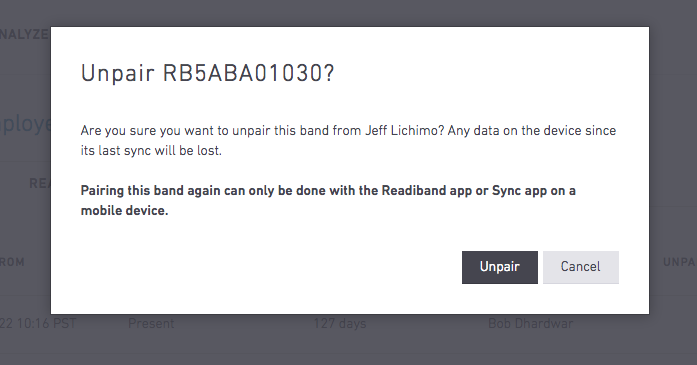 So if a Readiband is lost or damaged, or is being given to a new person, it'll have to be unpaired. Where can I unpair Readibands? If you received an iPad in your shipment, the Sync app will already be downloaded. Tap to launch. First, find out if your iPad can run the Sync app. If it's compatible, follow the steps below. Tap Settings > iTunes & App Stores and log in with an Apple ID. Go to Settings > General then set Auto-Lock to Never, Restrictions to Off and disable the Lock/Unlock. Go to Settings > General > Date & Time to ensure the Time	Zone is configured correctly and Set Automatically is enabled. 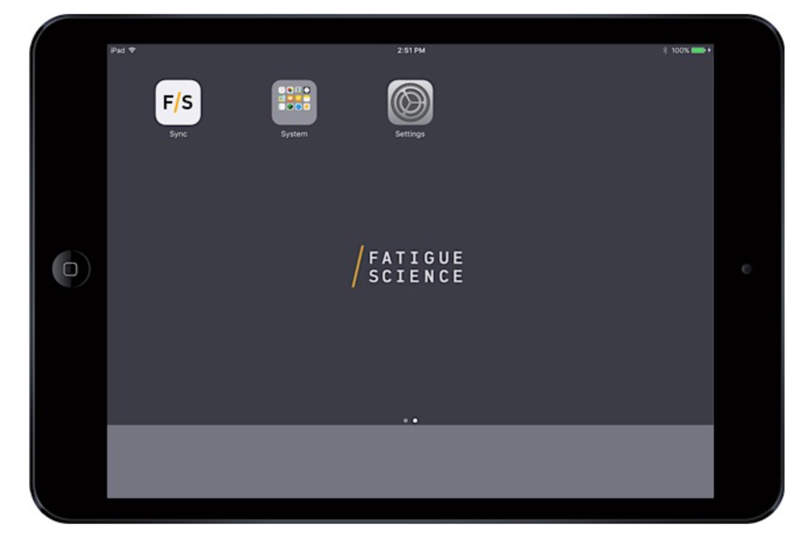 Access the App Store and search for Fatigue Science Sync app. Tap the app, and tap Get, then tap Install. If prompted, enter your Apple ID password then wait for the app to install on your iPad. Unpairing with the Sync app is best because all sleep data on the device is first captured by our system before the band is unpaired. However, it's possible to unpair a Readiband from a user account in the web app, but any data on the device that's not been synced via Bluetooth will be lost.  For example, if the Readiband last synced to the user's phone two days ago, and is unpaired using the Web app today, the two days of new data will be lost. 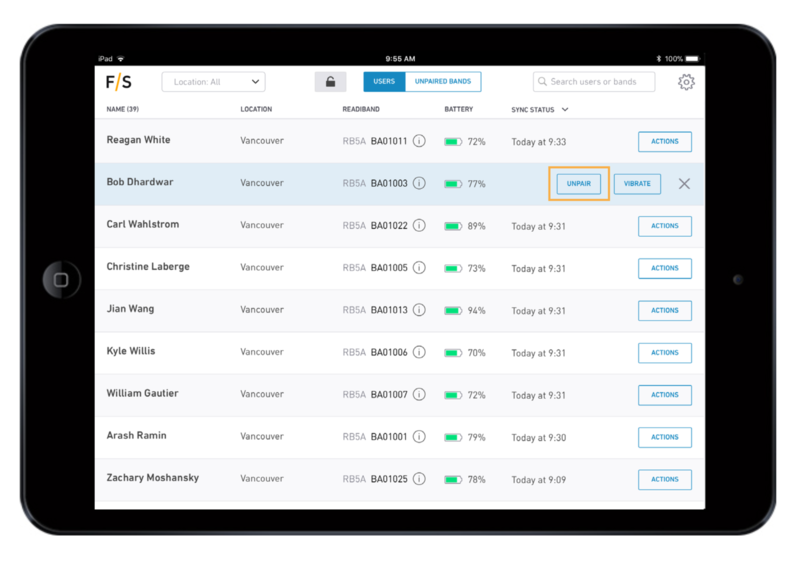 Click Manage Companies on the menu below your name. Any user can unpair their Readiband through the Readiband app. Just tap the band icon in the upper right corner, then 'unpair band', and follow the prompts. Looking to pair this band with another user? Here's how you do it.